This June completed my fourth year in business as Martin Gilbraith Associates Ltd, and in October it will be 5 years since I went freelance from ICA:UK. Following what has been a bumper year for client work, for the first time in probably 15 months I am looking forward to several consecutive weeks of desk time, free of delivering client contracts – and a holiday in August after that! In the last 12 months, it turns out, I have delivered 26 contracts for 18 clients in 9 countries, involving 32 face-to-face and 3 virtual events and 24 facilitated processes and 11 facilitation training courses. That has involved 73 nights away from home, 18 in the UK and 55 abroad. No wonder it felt like a bumper year – that represents an increase of around 70% in client work compared to my first four years of freelance practice, and the contracts on average were larger too. I have been fortunate and grateful to enjoy a diverse and stimulating, often inspiring, range of groups and contexts to work with this past year. Recent client contracts for facilitation have included large and multi-event, multi-stakeholder strategic planning processes with international NGO networks such as ICUU, Girls Not Brides and Eurochild (above), and smaller, relatively simpler strategy and planning retreats such as with CENTR, Wells For India, Lorensbergs and the Peel Institute. Also large and relatively complex and challenging international team meetings such as with Amnesty International and Oxfam OPTI, and a small but complex and challenging closed Ministerial Forum with the International Union on Tuberculosis and Lung Disease. Also a conference of activists on refugee and migration issues with Amnesty UK, and facilitated leadership development labs, face-to-face & virtual, for managers of Astra Zeneca. Facilitation training has included courses with civil servants of Ofgem and the Care Quality Commission, for agile finance software project managers of Santander and bereavement counselors of the Dove Service, and for diverse groups on public courses in London, Brussels, Geneva and Moscow. I lost some bids for work, and had to turn down some opportunities as well, but I wouldn’t have wished for any other workload. It is no wonder then that I have spent less time on other things. My volunteer time has reduced since I completed my four year term as ICAI President in December, although since then I have somewhat increased my time growing IAF England & Wales‘ activity and leadership team and partnership with IABC. Readers may have noticed that I have managed fewer blog posts (only 20 this past year from an average of 32 the past four), and only one of my “bi-monthly” free facilitation webinars – plus in May What does it take for people to align behind change? with Michael Ambjorn, published today by MILE Madinah on YouTube. So, what do I hope to make of this opportunity to pause and reflect? Mostly, I hope to take the opportunity to reflect and learn from this recent experience, and share some insights here on my blog – so watch this space! I hope to review my recent years’ ToP facilitation training end-of-course participant evaluations, and launch an online survey to invite past participants to share something of what they have applied of their learning and how, and what difference their training has made to them and the groups they work with. I hope to draft and begin to post some more facilitation case studies from my facilitation work of this last year, and request further client feedback. I hope to schedule one or two more free facilitation webinars for the autumn, and share a recording of one already scheduled for this month with IAF India – with Martin Farrell of IAF England & Wales, on the topic of co-facilitation (below). I hope to catch upon some reading – next up after Penny Pullan CPF’s Virtual Leadership, Responsible Facilitation by Jim Campbell formerly of ICA Belgium. Also, I have some advance preparation to do for delivery work in the autumn, including for my new IAF-endorsed Meetings That Work courses in London & Brussels in September, with Bill Staples of ICA Associates (book here). And I hope that my calendar for the autumn will continue to fill itself – so do feel free to contact me if you’d like to help with that! In the meantime, I am hoping also to enjoy some more summery good weather, and all that goes with it – at home in London, at the WOMAD music festival later this month and in Sitges in August. Thank you to everyone who joined my session Reviewing the past to prepare for the future on Friday, at the IAF Europe conference in Copenhagen Facilitation Reloaded. Here I am sharing links to the resources and case studies that I mentioned during the session – both on our topic, which was the history of facilitation, and on the process we used, which was the ICA ‘ToP’ Historical Scan method. ICA:UK books and sticky walls. Staff Away Day with George House Trust. 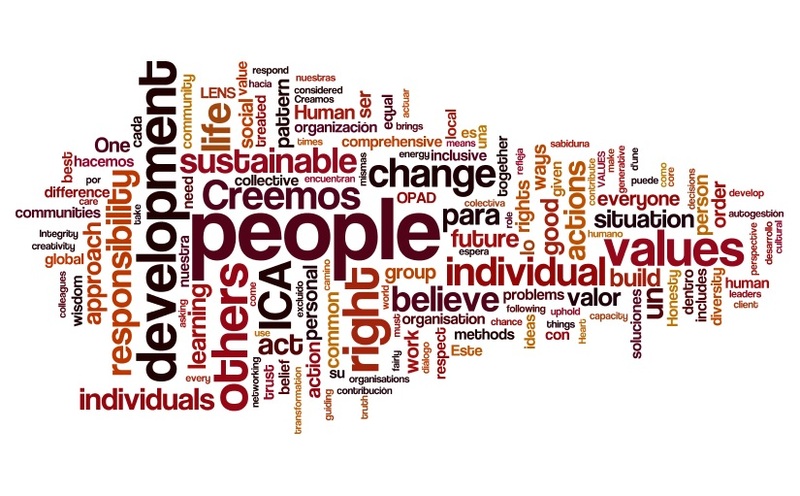 To join me and other faciliators worldwide in reflecting together on the past and future development of facilitation and our profession, please join our #FacWeekChat twitter chats, October 22 & 23 during International Facilitation Week 2014., or do also share any comments on the post, here below. Thank you! Meeting Tips Radio is an online podcast that pledges “to share stories, tips and advice from the best meeting facilitators in the world, so you can improve your meetings, improve your career, and improve your life“. The site is published by Meeting Tips Radio host and interviewer Reine Kassulker, based in Minneapolis USA. Many of the world-class facilitators he has interviewed before me are among those who developed ICA’s Technology of Participation facilitation methodology in the 1970-80s, and who founded the International Association of Facilitators in the early 1990s. So I feel honoured indeed to be included now in this distinguished company, and to be the first guest interviewed outside of North America as well. Do also check out the archive of fascinating previous interviews at Meeting Tips Radio – listen to Marilyn Oyler on the invention of the sticky wall, Sunny Walker on virtual facilitation, Catherine Tornbom on conflict resolution, Mirja Hanson on lessons from her book Clues to Achieving Consensus, Nathaniel Cadwell on Agile meetings and innovation games, Rebecca Gilgen on ‘stealth facilitation’, Deb Burnight on strategic planning, Irina Fursman on her work in Ukraine, Linda Alton on the origins of ORID and the ToP Focused Conversation method – and much more! And on that six-figure contract… just contact me! This ‘from the archive’ post is the essay I wrote for my IAF Certified Professional Facilitator (CPF) re-certification in 2012. I was reminded of it as I am now preparing a portfolio for my ICA Certified ToP Facilitator (CTF) assessment. This requires up-to-date evidence of all the IAF core competencies (broadly speaking), as well as of mastery in applying the core facilitation methods of ICA’s Technology of Participation (ToP). The requirement of the essay was to “link lessons learned since your original certification date to the IAF Core Competences, demonstrating changes in your facilitation style / behaviour, and indicating what growth you have experienced as a facilitator during the period since your last certification”. I shall use the IAF competencies as a framework by which to reflect on and illustrate some of my professional experience and development since my CPF assessment in 2008. Since my 2008 CPF assessment I have had the opportunity to lead the contracting and design of my largest client project to date, a 12 month process of facilitation capacity building and facilitated strategic planning delivered by myself and two colleagues [Jonathan Dudding and Ann Lukens] over 60 person days. The project involved 90 manager trainees and around 400 staff and 1,000 members and other stakeholders of a community-based housing association in South Wales. It was later written up in an article Building a future together: Broadening ownership in corporate planning for the joint AMED & IAF Europe issue of the AMED Journal last year, and presented at the joint AMED & IAF Europe workshop in London in March 2012. The contracting & design process itself comprised multiple meetings and project drafts over several months, but the investment in developing clarity and trust in advance proved invaluable to later success. This whole process served to stretch and develop greatly my capacity for creating collaborative relationships with clients, and also with co-facilitators and partners. One key insight was the importance of frequent, regular face-to-face meetings between ICA:UK’s local Associate and the client’s internal project team as well as between myself and the client’s leadership. Another related insight was to recognize that our intervention was but a small component of a much larger transformation process for the client, to which we could and did make a significant contribution but which we could not and need not fully understand or influence. Since 2008 I have facilitated a second ‘Big Meeting’ for a user-led organisation of people with learning difficulties, the first of which served as the focus of my essay for my CPF assessment then (Evidencing facilitation competencies: planning with people with learning difficulties). This second event was conceived by the client as a ‘planning party’, in order to better engage participants than would a straightforward facilitated planning session, so atmosphere and drama were key to success. This was achieved with the aid of plenty of games, balloons, cakes and craft materials, through a process designed collaboratively with the client. In working with 60 academic researchers more recently in May of this year, the key was to allow plenty of time and space for participants to engage in lengthy, free-ranging and in-depth discussion in small groups. I was able to achieve this by giving them free reign of the beautiful and sunny botanical gardens adjacent to the venue for their small group sessions. In spite of some resistance to what some perceived as over-simplification and dumbing down of complex issues, I was also able finally to bring the group to a collective conclusion in order to meet the needs of the client. I made a point of developing experience and skills in virtual facilitation since my CPF in 2008, by selecting relevant sessions at each IAF conference attended and also by attending an 8-week virtual training course in ToP facilitation (Virtual Facilitation Online). I have also had plenty of opportunity to practice virtual collaboration through my roles with the global IAF Board, and through participating in increasingly regular and sophisticated online global gatherings of members of ICA International (eg: ICAI online regional gatherings facilitate peer to peer support and collaboration). As a result I am increasingly proficient in the use of a variety of virtual tools myself, and my raised awareness of what is now possible encouraged me to lead the Board in scheduling IAF’s first online Annual Members Meeting later this year and procuring technical support through an open and competitive tendering process. I have also made a point since 2008 of further exploring approaches to conflict, including by selecting conference sessions accordingly, by reading on conflict resolution and by some involvement in ICA:UK’s partnership work developing the Kumi method for social transformation in conflict situations on which I presented at the IAF Istanbul conference. I am not aware that my facilitation practice has changed significantly as a result, but I certainly feel more confident in relation to conflict. I have experimented with a number of new tools and techniques since 2008. In addition to virtual approaches mentioned above, these have included the suite tools of ICA’s Organisational Transformation course, which was new to me when I supported Bill Staples of ICA Associates to deliver it as a pre-conference course at the IAF Oxford conference in 2009. I have subsequently been able to apply some of these with success within ICA:UK and with ICA:UK clients as well. I have adapted and applied multiple approaches in combination, including for example ToP, Open Space and Solutions Focus with the South Wales Housing Association mentioned above; and ToP and world café with a number or clients. I adapted a well-known ice-breaker to create on the hoof “Just one lie” for use at the IAF Board meeting in London in 2011, and subsequently wrote it up and contributed it to the IAF Methods Database and Global Flipchart Method of the Month [see Creativity in facilitation, and Just One Lie]. Since applying to join the IAF Board and take my CPF assessment in 2008 I have read through all the back issues of the IAF Journal and the IAF Handbooks and a number of other facilitation titles as well. I have attended two IAF conferences each year. My IAF Board roles have helped me to expand my professional network and relationships greatly, which has been enormously valuable for my learning and professional development. This has also been aided by my increased use of social media in the last few years, particularly LinkedIn and twitter, which I find invaluable sources of new material of interest as well as new personal and professional connections. In drafting this essay I have learned that I need to become more methodical in maintaining a record of my professional development in order to more easily and effectively renew my CPF in four years from now! I have plans to start blogging regularly so I hope that will help greatly [Welcome to my new website and blog!]. 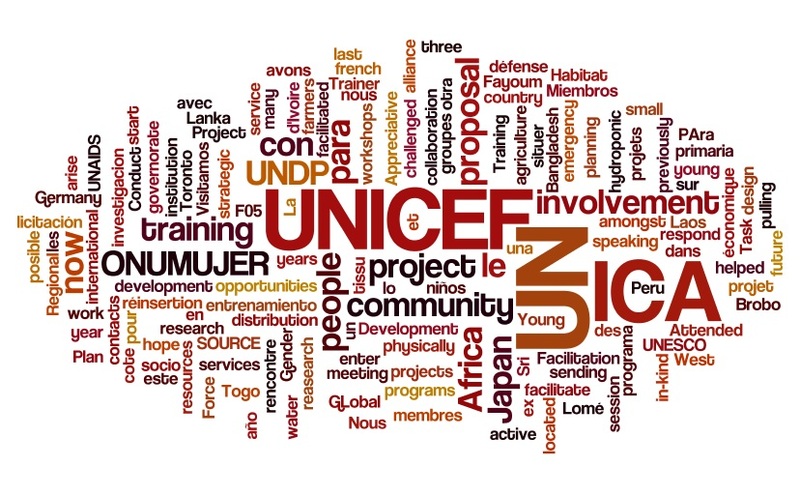 In my forthcoming freelance career I am looking forward to focusing my professional practice more on the international development and humanitarian sector, and to the opportunities for learning and development that that will afford me. Since I have begun inviting professional recommendations via LinkedIn, I am proud that values professionalism and integrity have been referred to repeatedly. I am excited as well as somewhat apprehensive to have given notice to step down from my role as Chief Executive from the end of September, after 16 years with ICA:UK [A new transition for ICA:UK – and for me], with a view to working freelance as a professional facilitator and facilitation trainer for at least some time. With my IAF Chair role ending soon as well, in December [Reflections on a term as IAF Chair], I am relishing the prospect that my reduced responsibilities might allow more time for reflection and learning, and exploration of new opportunities and new avenues for professional development and service. This post was first written for and published by Kellow Learning: facilitating curious futures, as the first of a series of monthly guest posts from members of the global Kellow Learning Network. At a recent monthly meet-up of the International Association of Facilitators in London, the question was posed “is there a single, universal principle of facilitation?” More to the point of course, if there is – what is it! It didn’t take me long to think and respond that, in my own facilitation at least, there is certainly something approaching that – a simple four-level model of human behaviour that is always in my mind as I design and facilitate any learning or collaborative process, and that is very often explicitly the basis of the design. Anyone who has worked or taken training with me, or who is familiar with ICA’s Technology of Participation (ToP) approach, will know immediately what I am talking about. It is the basis of the ToP Focused Conversation method, featured in the foundational ToP Group Facilitation Methods course, and it is affectionately known as ORID. ORID is a model of how we respond as human beings to each other and our environment, and so too of how we learn, make decisions and act. We perceive our external reality through our senses of sight, sound, touch, taste and smell. These are our sources of data, the Objective level of the model. We experience an internal response to such data initially, whether or not we are conscious of it. These emotional, intuitive or gut reactions represent the Reflective level. We discern meaning, ascribe value or significance, and learn at the Interpretive level. When we come to some sort of conclusion, resolution or action that is at the Decisional level. We go through this process countless times every day, often subconsciously. For example, I hear my alarm clock through my sleep in the morning and roll over in bed to ignore it and continue sleeping; until I realise that it is getting late and I must get up, so I reach to switch on the light. The ToP focused conversation method uses ORID as the basis for crafting a series of questions, by which to lead a group through a conversation which is focused, inclusive and productive. The conversation is focused by crafting questions explicitly to help the group address a particular topic. It follows the four levels of ORID in turn, taking the group on a journey together from surface to depth understanding, learning and resolution. This is inclusive because different people (and people of different cultures) tend to be stronger and more comfortable at the different levels, so this enables everyone to participate where they are most comfortable and to contribute from their strengths. This discipline of addressing each level together in turn also helps to test unspoken assumptions and overcome unconscious biases, and so helps to make the conversation more productive and conclusions more robust. I find that this approach applies equally well to an informal small group conversation of a few minutes as it does to an elaborate large group process of days, weeks or months. For example, I shared the design of a small group conversation from a training context in my recent blog post Three dimensions of the facilitator role – a focused conversation with video. For an example from virtal faciliation see the twitter chat ‘Facilitating a Diverse Group of People‘, designed and led with @BenZiegler to celebrate International Facilitation Week last October. Another recent post ‘from the archive’ Staff away day with George House Trust illustrates ORID applied to the design of a whole day event – opening, overview, introductions and ground rules at the Objective level; ‘Wall of Wonder’ historical scan and story-telling at the Reflective level; World Café conversation at the Interpretive level, on “How we would like to be able to describe the culture of GHT”; and at the Decisional level, a team-building exercise, next steps, and closing reflection and evaluation. Also I find that ORID applies well in conjunction with all sorts of other methods and tools. The World Café method used in the George House Trust example is a case in point. In a consultation event involving around 70 researchers helping to shape a future grant programme of a national Research Council, I used ORID to structure the four, progressive small-group table conversations of a World Café session – [O] highlights of our own research relevant to the research theme, [R] exciting emerging themes and questions, [I] opportunities for mutual support & collaboration, and [D] implications for researchers and for the Research Council. I plan to share more examples of ORID as a process design tool in future posts. So, my universal principle is this – whatever the aims for your group process, there will be four key steps to achieving them. Even if you have an apparently simple, single question to address, often four questions will work better than one. As another example, if you want to ask “what shall we do about problem X?”, consider that your D-level question and ask first “what do we know about problem X?”, “what have been some of our challenges and breakthroughs in the past in relation to problem X?”, and “what have we learned from our experience about what might work and what doesn’t work in relation to problem X?”. For a detailed explanation and practical guidance on the ToP Focused Conversation method, including many example conversation designs, see The Art of Focused Conversation: 100 ways to access group wisdom in the workplace and The Art of Focused Conversation for Schools: Over 100 Ways to Guide Clear Thinking and Promote Learning. I am grateful to Sean Blair of ProMeet for posing the question at the IAF Facilitators & Friends London meet-up. Do join us (it’s free) on the 2nd Thursday of the month in central London, or join us online to schedule a meet-up where you are. Toward a Global Role for the Institute of Cultural Affairs in the UK (1997). The following piece ‘from the archive’ is excerpted from my masters dissertation of April 1997 to the the Institute of Development Policy and Management of the University of Manchester, for the degree of MA (Econ) Development Administration and Management. You can download the full dissertation Building Civil Society for a Humane and Sustainable Future (60 pages) in pdf. This has also been published by ICA:UK. “The good life can only be lived in civil society… The picture here is of people freely associating and communicating with one another, forming and reforming groups of all sorts, not for the sake of any particular formation – family, tribe, nation, religion, commune, brotherhood or sisterhood, interest group or ideological movement – but for the sake of sociability itself. For we are by nature social, before we are political or economic beings” (Walzer 1992, 97). The idea of ‘civil society’ is experiencing a renaissance in debates on development and democracy, as ‘third sector’ organizations and grassroots movements demand, and are often granted, greater space in which to contribute to the development and democratization of our societies at local, national and global levels. As we approach the turn of the millennium, and the end of a century that has witnessed radical and often devastating socio-economic and environmental change, the need has never been greater, nor the time riper, for humankind to plan and act strategically in search of radical solutions to address the great global crises of our times – Korten (1990) has identified these as the crises of poverty, environment and social integration. There are innumerable indications of positive change in many spheres, perhaps evidence of an emerging paradigmatic shift to a dawning ‘solar age’ (Henderson 1993). Yet, the challenge remains for us all to participate effectively in the shaping of a more humane and sustainable future for all. 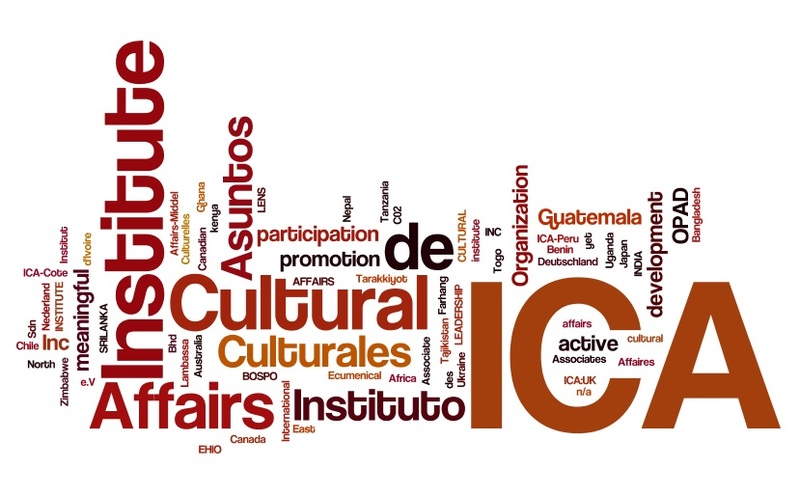 The Institute of Cultural Affairs (ICA) is a global network of private, not-for-profit organizations and networks concerned ‘with the human factor in world development’, and working actively to foster such participation by facilitating personal, organizational and social transformation in a variety of contexts. 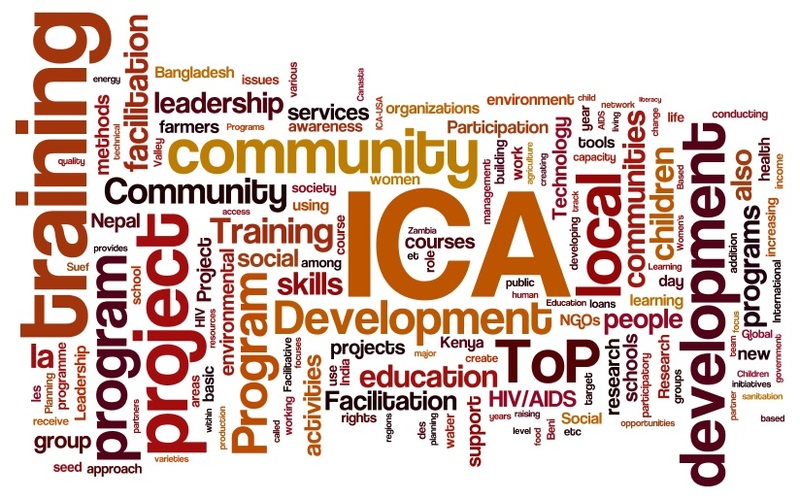 ICA:UK is a network of families and individuals sharing these concerns, most of whom have participated as volunteers in grassroots community development work overseas, and who now live and work in a diverse range of settings in Britain. ICA adopted ‘Participating in the Rise of Civil Society’ as the theme of its recent quadrennial global conference, held in Cairo in September 1996, and is now publishing an edited volume on the same theme (Beyond Prince and Merchant, Burbidge forthcoming). By drawing on relevant literature and documentary sources, as well as on the author’s personal experience of working with ICA over 11 years in India, Egypt and the UK, this study explores the evolving idea of civil society and the debates surrounding it, with reference to the Institute of Cultural Affairs and ICA:UK. The aims of the study are two-fold. Firstly, for those enthused by the idea of civil society and the sector’s role in democracy and development, it aims to highlight some of the important dimensions of that role, in theory and in practice, and the practical approach of ICA that is not only working in building and strengthening civil society for such a role, but that is also uniquely appropriate to address to the great crises of our times as viewed from a civil society perspective. Secondly, for those involved with ICA or familiar with its approach, it aims to highlight the relevance and utility of the idea of civil society as an insightful (and newly fashionable) conceptual framework by which to understand and appreciate the work in which ICA has been engaged for over 25 years. Chapter 2 introduces the idea of civil society in its historical context, and reviews its re-emergence and current place in contemporary debates on democracy and development. Chapter 3 explores how such a civil society perspective may offer insight into the dangers and opportunities of the global crises demanding our attention in the late-1990s, and into their implications for the role of civil society, and for all those concerned with acting, and catalyzing action, for positive change. Chapter 4 demonstrates the particular relevance of the idea of civil society to the Institute of Cultural Affairs and ICA:UK and, conversely, of ICA and its practical approach to the rising civil society and the challenges it faces. The study concludes, in Chapter 5, by reaffirming the high level of ‘fit’ apparent from a civil society perspective between ICA, its practical approach and the challenges of the contemporary global crisis of governance; and by calling for a dynamic learning approach to a renewal of civic engagement from all those who share ICA’s ‘concern with the human factor in world development’. Adopting the same analytical framework, the study has in chapter 4 examined the case of the Institute of Cultural Affairs and ICA:UK, and found them to have for over 25 years embodied the principles of the contemporary idea of civil society, and intentionally contributed to the building and strengthening of the sector. It concluded that the idea of civil society is not only of particular relevance and utility to ICA and its work, but that ICA in general, and ICA:UK in particular, may be seen from a civil society perspective to display a particularly high degree of ‘fit’ between their organization, their programmatic work and the urgent challenges facing global society. They may therefore be considered particularly well placed and well qualified to contribute effectively to further efforts to restore the social balance, toward meeting the challenges of the contemporary crisis of governance. Ward has observed: “The most important change that people can make is to change their way of looking at the world. We can change studies, jobs, neighbourhoods, even countries and continents and still remain much as we were. But change our fundamental angle of vision and everything changes – our priorities, our values, our judgments, our pursuits… a turning of the heart, a ‘metanoia’, by which men [sic] see with new eyes and understand with new minds and turn their energies to new ways of living” (Ward 1971 cited in Commission for Global Governance 1995, 47). Of course the idea of civil society, while increasingly found to be insightful at this point in history, is only one lens through which to look at the world and ask, ‘what is to be done?’ and ‘what shall we do?’. Perhaps less important than the lens used is that we do look, and that we do ask – and, most of all, that we do. Moreover, the world is increasingly understood to be ‘more like a river than a rock’ (Uphoff 1992), such that no one static perspective, however insightful, may substitute for a constant and dynamic search for new insights and new approaches. “If you say you are going to develop man, then you have to know what he is or what he stands for… That is, I think, where you can make a enormous contribution. I have simply not seen any other organization, and I know many, who can make that contribution because of one reason… You are a question mark. You are saying ‘we really don’t know’… You are searching. You are looking for what it is that we are here for. That is the essence of development” (Van Arendonk 1986, 10). 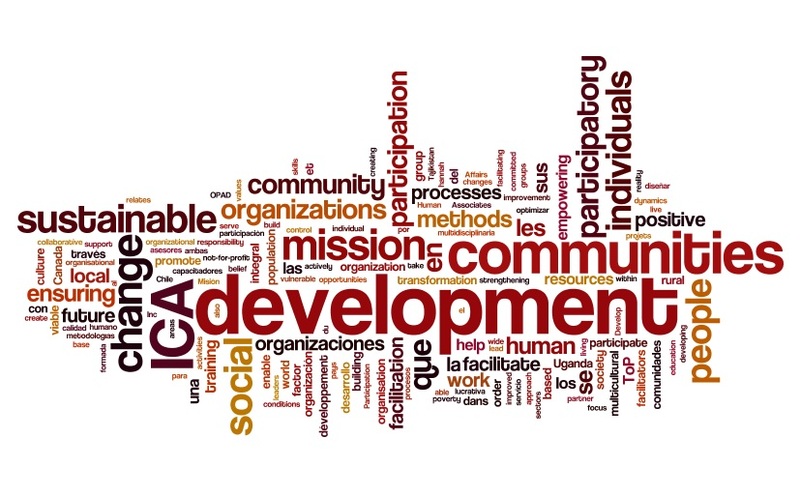 ICA has shown the courage to raise the most fundamental of questions in development, and has demonstrated the capacity and potential to serve effectively to empower individuals, organizations and communities to address these questions in actively creating their own futures. The Institute of Cultural Affairs, and ICA:UK in particular, represent both a powerful resource and an important avenue for the active participation of citizens in building civil society for a more humane and sustainable future, in the UK and globally. In the light of the high degree of ‘fit’ revealed in this study, and in the light of ICA’s defining culture of participation, it behoves ICA:UK, it’s members and all those who share its concerns, to take advantage of their unique position and potential, to embrace their critical role as citizens of the rising global civil society, and to participate together to create and implement a new strategic agenda for action as we approach the turn of the millennium. These three articles were first published in the ICA International magazine Winds and Waves, December 2013. Welcome to another great issue of Winds & Waves, the online magazine of ICA International. The theme of this issue is Imaginal Education, a whole-person approach to life and learning that has been at the core of ICA’s work in human development and participatory social change since it began some 50 years ago. This important link between self-image and personal behaviour remains core to ICA’s approach to ToP facilitation and human development worldwide, as illustrated by the many rich and varied stories from ICA colleagues included that book. It has also been at the heart of the of global, online community of practice on Reshaping Education for the 21st Century that grew out of the 8th ICAI Global Conference on Human Development hosted last year by ICA Nepal in Kathmandu. This issue draws on the work of that community of practice and others to share something of what works, and some of the challenges and the rewards, of applying such an Imaginal Learning approach in the field of education and more broadly. Marge Philbrook of ICA USA writes of the ICA Archives project in Chicago, and its efforts to make these and other ICA models and tools from the archive more available online to a generation. Svitlana Salamatova and her colleagues of ICA Ukraine, in a country and a city again currently in the midst of profound social change, write of their use of online communication tools for connecting, learning and empowering of communities. Nelson Stover and Shankar Jadhav share insights from ICAI India’s ‘Global classroom in a village school’, and Isabel de la Maza writes of changing self-images in Chile. Mane Arratia writes of ICA Spain’s facilitation role in the global conferences of Initiatives of Change in Caux, Switzerland, and Amani Jensen-Bentley of Australia writes on ‘a teen’s perspective on a rural Aussie initiative aimed at celebrating multiculturalism’. As I write, ICA International has just completed its third series of online regional gatherings this year, to connect ICAs and ICA colleagues and facilitate peer-to-peer learning and collaboration worldwide, and we are poised for our online General Assembly in a couple of days’ time. Nineteen ICAs participated and shared reports for the regional gatherings, and also in this issue you will find an overview of the gatherings and excerpts from some of those reports. You will also find a scattering of graphs, maps and word clouds, illustrating both the diversity and the commonalities of our global ICA community. These are drawn from the 37 responses to this year’s new ICAI global membership survey that we have received from ICA locations around the world. We are grateful to all those who took the time and effort to respond. I hope you will agree that all this makes for a stimulating and inspiring read. Please let us know what you think, and connect and learn with each other online, by posting your thoughts on our facebook page. The Institute of Cultural Affairs (ICA) is a global community of non-profit organisations advancing human development worldwide. The role of ICA International is to facilitate peer-to-peer interchange, learning and mutual support across the network. ICA International also maintains consultative status on behalf of the membership with UN ECOSOC, UNESCO, UNICEF, WHO & FAO. 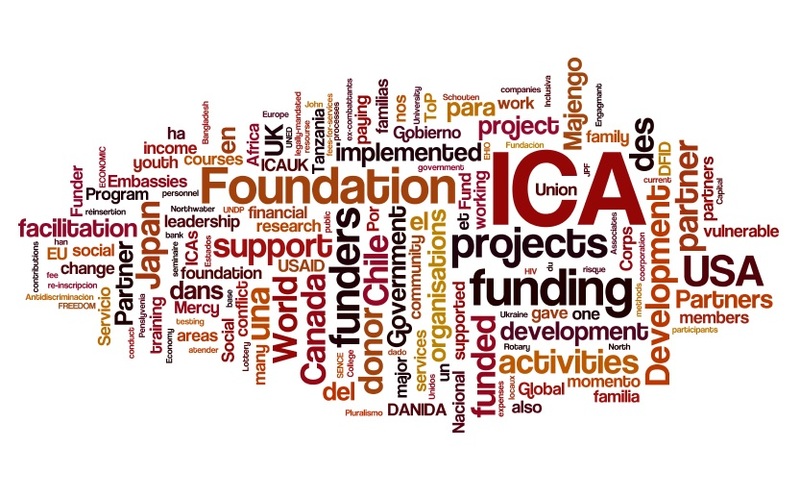 With member organisations and related organisations and groups in over 40 countries worldwide, online gatherings play a key role in facilitating peer to peer support and collaboration among ICAs and ICA colleagues, within and across regions. ICAI currently convenes online regional gatherings three times per year, for three regional time zone groups – Asia/Pacific, the Americas, and Europe/MENA/Africa. These regional gatherings are open to all ICA members, staff and volunteers worldwide, and people are welcome to attend another region’s gathering if they cannot attend their own. The third series of gatherings for 2013 were held December 9-11, and attracted 23 people from 19 countries. The aims of the gatherings are to connect ICAs and ICA colleagues with each other, and help to build & strengthen relationships between them; to share information and facilitate peer-to-peer support and collaboration among ICAs and ICA colleagues; and to hold ICAI accountable to its members, and seek input & support to strengthen our global network and advance our global mission. The agenda every time includes introductions and questions & discussion on reports shared by ICAs and ICAI. Agenda items particular to the December gatherings, in preparation for the following online General Assembly, included criteria for ICAI financial support to member initiatives, a proposed procedure for developing global policy for ICA, our pattern of face-to-face global conferences, and categories of ICAI membership. A full transcript of the gatherings has been circulated, including links to the meeting papers and online recordings of the three 90-minute meetings – please ask if you’d like a copy. If you have not been able to join the online gatherings this year, please do let me or another ICAI Board member know if there is anything that we can do to make these online regional gatherings more relevant and accessible to you next year. Please also let us know what alternative approaches to remote networking might work better for you, whether synchronous (such as online meetings and twitter chats) or asynchronous (such as email, facebook and linkedin). The ICAI General Assembly meets normally once per year. Its aims are to take ICAI membership decisions, including approval of Associate & Statutory memberships; to take ICAI strategy & policy decisions, to direct the work of the Board and to guide & support the peer-to-peer collaboration among ICAs; and to elect the ICAI Board and hold it accountable to the membership, including by receipt of an annual audited finance report. The 2013 GA was held online on December 16, using Adobe Connect. Nineteen people from 12 ICAs participated, including voting representatives from 10 of 19 voting statutory members. We were grateful for technical support for the meeting from ICA:UK Associate and virtual facilitator Orla Cronin. Seven ICAs were accepted as new or renewed statutory members, bringing the total to 19. A further 11 ICAs were accepted subject to payment of dues and/or formal request. It was decided to change the term of membership from the January-December calendar year to the 12-month period following receipt of dues. The GA received the audited financial statements for 2012, and Timothy Wright in Canada was re-appointed to audit ICAI’s Financial Statements again for 2014. The seven serving members of the ICAI Board were re-elected as Directors. A new procedure for development of global policy was approved, and a number of ICAs agreed to propose a working group to use the procedure to develop a new global policy for ToP facilitation and training. In addition to this decision-making, feedback was invited on the Board’s plan to develop its work plan for 2014 on the basis of the 2013-14 strategy approved by the GA in 2013, and no objections were raised. Further discussion was had on the question of whether to call a face-to-face General Assembly for 2014 and/or a Global Conference for 2016, although it was decided not to hold a vote due to insufficiently inclusive and in-depth discussion among members prior to the meeting. The meeting was notified of the new legal requirement to obtain a ‘continuance’ in order maintain ICAI’s registration as a non-profit in Canada. A special General Assembly will be called for February 2014 to amend the Bylaws for that purpose. A full report is available on request, with a link to the full online recording of the 90 minute meeting. Feedback from those participating included: “Efficient and effective”, “Very smooth and good timing”, “It was excellent. Thanks for all who made it possible”, “Awesome organization! Thank you for such professionalism!” and “Appreciate clarity, preparation from area meetings and moving well”. Isabel de la Maza of ICA Chile was unable to attend but watched the recording and wrote:: “It was a great meeting!!! !, Thanks for a very professional virtual facilitation job. Wow!!! It is incredible what technology is permitting in these days”. A brief online survey has been circulated by email to 99 representatives of 42 ICA locations worldwide to seek further feedback, particularly from those who did not participate, to help the Board make future online gatherings and GAs more inclusive and more effective.